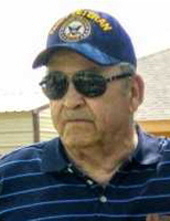 Thomas F. Ledbetter, age 78 of Sweetwater, passed away Saturday, December 22, 2018. Funeral services will be held at 10 am, Monday, December 24th at Morehart Mortuary Chapel in Breckenridge with Rev. Jack Pinkerton officiating. Interment will follow in the Albany Cemetery under the direction of Morehart Mortuary. Visitation will be held from 6 pm to 7:30 pm, Sunday, December 23rd at Morehart Mortuary of Breckenridge. Thomas Franklin Ledbetter was born November 23, 1940 in Albany, Texas to Thomas Jarrett Ledbetter and Lois Roberson Ledbetter. He grew up in Albany and graduated from Albany High School. Following graduation, Thomas enlisted in the United States Navy. Following his honorable discharge, Thomas married Wanda Sanders in Albany on August 31, 1962. He worked as a mechanic and loved to fish and hunt. He was preceded in death by his parents, Thomas and Lois Ledbetter Fuller; one daughter, Connie Atkins; one son, Stanley Boyd; one grandson, David Bufkin; one brother, Carl Ledbetter; one nephew, Thomas Ray Brister. Mr. Ledbetter is survived by his wife of 56 years, Wanda Ledbetter of Sweetwater; three sons, Joe Boyd of Breckenridge, Jerry Bufkin of Mineral Wells and David Bufkin of Flower Mound; three brothers, Ed Ledbetter & wife Carolyn of Bowie, Floyd Ledbetter & wife Jane of Sunset, Dean Ledbetter& wife Rebecca of Abilene; one sister, Verna Brister & husband Z.L. of Abilene; eight grandchildren, Jimmy Wayne Boyd, Les Sewell, Sherri Wood, Melody Lammons & husband Cody, Jeremy Bufkin & wife Ashley, Becky Bufkin, Matt Bufkin and Tommy Bufkin; sixteen great grandchildren and numerous nieces and nephews. Memorials may be made to American Heart Association and may be left at Morehart Mortuary. Condolences may be made online at www.morehartmortuary.net. "Email Address" would like to share the life celebration of Thomas F. Ledbetter. Click on the "link" to go to share a favorite memory or leave a condolence message for the family.